Golden State Warriors Destined to Retain NBA Title (Again) In 2019? With three NBA titles in the last four years, the Golden State Warriors are the dominant force in basketball right now. Steve Kerr’s men have been simply sublime in recent times, notching an incredible 265-63 record since the beginning of the 2014/15 season. That 4-3 defeat to the Cleveland Cavaliers in the 2015/16 campaign still stings and the Warriors will be determined to avoid a similar slip-up this year. At the moment, it is Golden State’s title to lose. The Warriors are the strongest team in the NBA by some distance and you won’t find many punters backing against Kerr’s side ahead of the playoffs. Golden State are 43-18 on the year but that is not enough to snag the best regular season record – the Milwaukee Bucks are 47-14 and the Warriors will be wary of potentially facing Giannis Antetokounmpo in the NBA Finals. This Golden State team have the chance to rewrite the history books – the Warriors have built a dynasty at Oracle Arena. You’d be hard pressed to find a more talented foursome than Stephen Curry, Kevin Durant, Klay Thompson and Draymond Green; you almost can’t compete against that kind of roster. The Warriors are relentless on the court and it is going to take something special – like Dwayne Wade’s buzzer beater – to beat them. As previously mentioned, Milwaukee are leading the way in 2018/19 as the most winningest team in the NBA – the Warriors led the league for three years but had to settle for second behind the Houston Rockets last year. Finishing as the second seed in the West didn’t affect Golden State too badly; they went on to beat James Harden § co in the Conference Finals before whitewashing the Cleveland Cavaliers 4-0 in the NBA Championship series. Experience at the business end of the season is invaluable and the Warriors know what is required to win the NBA title. 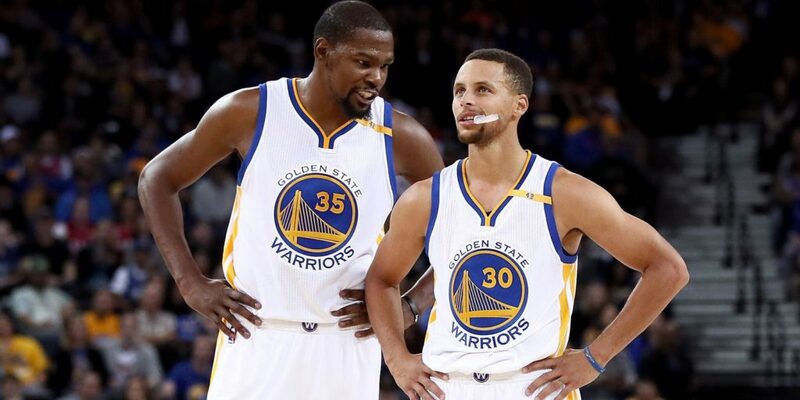 Barring any major injury issues, Golden State will be primed to retain the crown – Kerr will be quietly confident of leading his team to glory. As of February 28th, the Warriors are 8/15 with Betway to win the NBA Championship and basketball punters will be keen to get onboard. Write the Warriors off at your peril. What is going to happen to Kevin Durant at the end of 2018/19? According to Forbes.com, the Warriors are set to be capped out ahead of next season and changes may be afoot at Oracle Arena. Replacing a former NBA Most Valuable Player is never going to be easy but Durant isn’t getting any younger and Golden State have to be ruthless. For the time being though, Kerr will be trying desperately to keep his players focused on the playoffs. 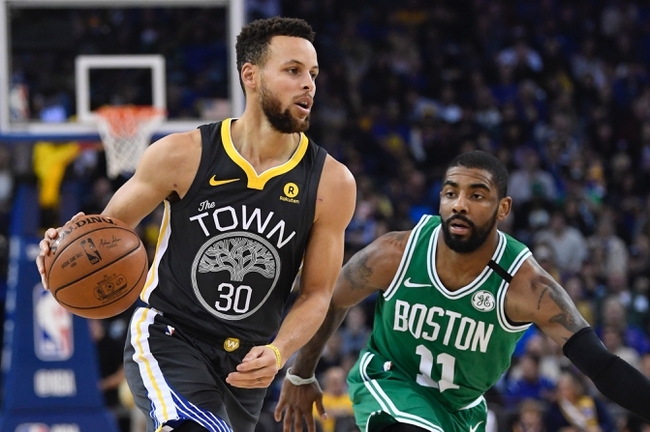 Another rumour doing the rounds is Kyrie Irving – reports in the Daily Express have hinted at a potential switch to the Warriors from the Boston Celtics. If Golden State could somehow replace Durant with Irving and remain inside the salary cap, that would probably be the ideal scenario. Irving has averaged 23.6 points per game this season and the lure of playing for the defending NBA champions may be enough to tempt Irving to jump ship. So… Will Golden State Get It Done? Despite some recent struggles, the Warriors are red hot favorites to lift the NBA title this year but even the most ardent Golden State fan will admit that they aren’t as solid as they were a few seasons ago. With the likes of the Denver Nuggets and Portland Trail Blazers showing significant improvement in the Western Conference, the Warriors will need to be at their brilliant best to advance to a fifth successive NBA Finals. That hunger to repeat may be enough to carry Golden State to victory.